Oysters are known for their rich nutritious value. Fresh, fragrant oysters on a bed of warm rice with soy sauce seasoning are not only delicious but also full of goodness. 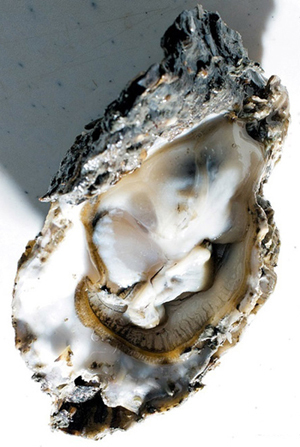 Oysters are rich in calcium, protein, iron and copper and are therefore good for sufferers from anemia. Due to the high zinc content they were long believed to be an aphrodisiac, and Casanova is said to have eaten them in copious quantities. One substance in oysters destroys melanin, so it brightens skin tone. The best way is to eat them is raw with a squirt of lemon juice. The vitamin C in lemon juice helps absorb iron and prevent loss of taurine.